Thoughts that do no go away and cannot be thought away anymore. 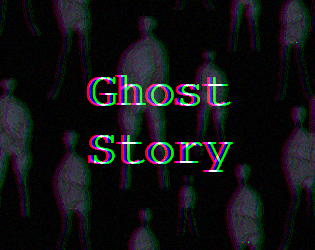 >> A short and eerie Twine novel, inspired by my own existential angst. >> Content may be disturbing to some audiences, so proceed with caution. NEW UPDATE: I got the feedback, that the sound does not work for everyone, so if you don't hear sound right away (sound should start at the very first page) I recommend the download version. Agree with the other comments, very atmospheric and nice audio, neat stuff! Awesome! Very simplistic, but still so atmospheric! A very pleasant little slice of nightmare. The music alone is chilling enough to carry itself. Great game !!! Really ejoyed it. Here is a little video we made playing it.